– In a food processor, grind the garlic and pureed cilantro. Gradually add the olive oil. Add the lime juice, and season generously book. — In a large pot, combine oil, garlic, onion, celery, and carrots. Cook 5 minutes on medium heat. — Add lentils, broth and cumin. Season generously and bring to a boil. Cover, reduce to low heat and simmer for 20 to 25 minutes. FINALE — Serve the soup steaming hot with the pistou on the side for everyone to add to taste. 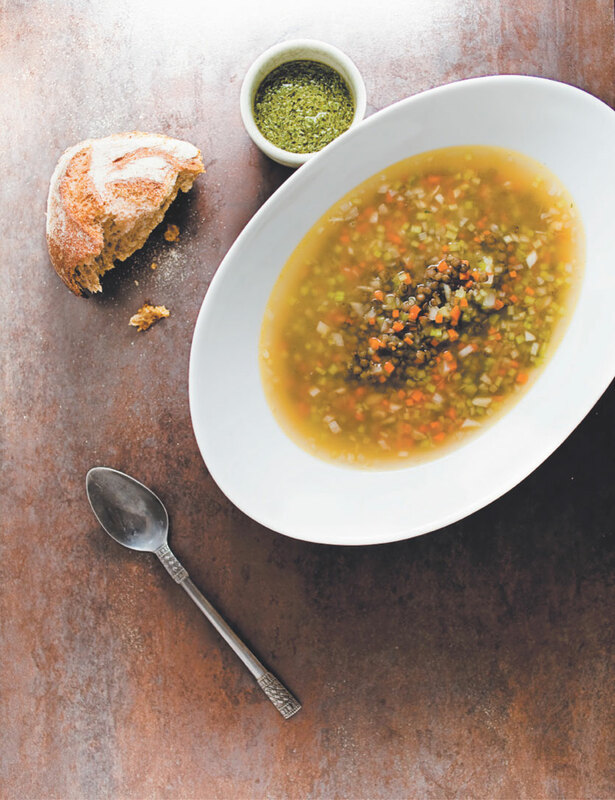 NOTE — You must make the pistou since it gives flavor and aroma to this soup. For a colorful change, I like to add diced tomatoes and avocados as a garnish at serving time.